We were back in the ER on Sunday this week. We haven't been in the hospital since late June. Chemo and Cancer are in the rear-view mirror so far as we can tell. Julie has sputtered along through the end of summer trying to recover lung function lost during the last 3 rounds of chemo. It has been one thing after another. We found that the abscess in her spleen wasn't anything other than dead infection most likely from the fungal infection she caught during chemo. Once she was done with the C-diff, she had a few weeks before she caught a lung infection. 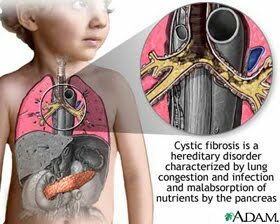 With her sinuses still having Cystic Fibrosis, anytime her immune system is weakened, the underlying pseudomonas can spread to the lungs. She picked up CMV (similar to mono) and just as she got better from another lung infection, it seemed to return a few weeks later. She was having limited response to the very stringent anti-biotics they were giving her. She was wondering if she had built up resistance to them. About 2 weeks ago we found out through a CT scan and some blood work that the fungus that she caught during chemo had come back. There had been no detectable levels in the blood a few months ago, so we stopped the treatment. After getting on an anti fungal med, it seemed that she had turned the corner and started to improve. We had a great week of lower oxygen dependence and better energy to spend time with the kids. Last week however, she took a turn south. Her oxygen dependence started to climb and over Friday night and Saturday night her underlying nausea she had experiencing for a few days turned to vomit. Reading this while eating? Deal with it ;). When we took her temperature Sunday morning it was 38.5 C or 101 F. Once we called the transplant nurse she told us we should come in. We arrived to the hospital late afternoon and spent 4-5 hours in the ER waiting for a room and getting things ready. I accessed her port and she slept most of the time. They were able to give her IV zofran for nausea and she was able to rest. That evening were moved to a room on the floor. She had a very high resting heart rate at about 135 and was on 5 liters of oxygen. It was a good thing we came in. Her white blood cell and all blood counts were dropping. Red blood cells carry the oxygen, and with lower counts the heart has to beat faster to deliver the gas. In addition, her platelets were low so thinner blood takes more pumping to circulate. On top of all this, just low volume of blood will make the heart work harder. She was able to get a unit of blood, but as always it took much longer than it should have. We knew they were dropping the night before so they did a type and match to verify her blood type. The attending physician came in Monday morning and said that it was in the process but we found out later that day that the blood was never ordered by him. Finally around 5:00 pm she received her unit of blood. She had been delirious that day and nauseous. Tuesday she was very tired and she threw up twice Monday night. She slept most of the day but had better color. The anti nausea meds make her sleepy but took the edge off the nausea. They did another CT scan since her lymphnodes were very swollen. The result was there was just fluid in them from all the fluids she is receiving. It probably is also her body clearing the infections out with the anti fungal and antibiotics she is on. Last night (Tuesday) she slept better. When I saw her today she was much more interactive and in addition to just walking around the floor of the unit, she asked to go on a walk through the hospital. We walked to the front of the hospital and sat in the wheelchairs out front since that's all there was available. She then said, lets walk up to Huntsman. I was surprised by her suggestion. She was sitting on 5 liters of oxygen. The University of Utah Hospital sits up on the bench and Huntsman Cancer institute is built on the mountain right behind it. It is a steep climb for anyone let alone someone with sub 20% lung function. I sensed that Julie had some of her grit back. It reminded me of her first week after transplant when she was working so hard to recover and asking when she could start running. We hit the hill behind the ER entrance and she was so strong. I was bragging to the RT when we returned and of course Julie down played it by saying she needed to rest a few times. The past few weeks have been demoralizing to Julie to say the least. She wasn't seeing any improvement. Two weeks of antibiotics only to need them three weeks later. Another two weeks with nominal results. And then the week before last seeing some improvement before this crash on Sunday. Before she went into the hospital on Sunday she said "I'm hopeful." "That you'll get better?" I said. "I'm hopeful I won't die." The fact that she was thinking about dying was telling how tired her body is. This is a girl who has simply refused to die time after time. She and I were both grateful to have the hospital to go to this weekend. We weren't stoked about going up, but we were grateful once we were there. No one likes the hospital, but you sure are glad to have it, along with talented clinicians when you need them. On Monday, one of the few conversations we had, she whispered "Maybe I just need to change my attitude." She is mentally depleted. Seeing her walk and push herself today was evidence she is doing just that. I wouldn't have guessed she would have done that two days ago. We aren't naive to the weighty matter at hand. With low lung function, we are on a knifes edge of the end of life. Just one bad virus or cold can cause her to crash. That said, we are at peace with what is going on and the unknown outcome ahead. Today I said to her "I'm so sorry you have to go through this." She looked up at me on our walk and said with a smile of contentment, "It's okay." I have really faced the facts lately of the possibility of losing her. Ironically I have been at peace with what is going on. Numbness ensues to the emotion that stress brings initially. Though numbness connotes a disconnect of oneself, in fact it is acceptance instead. People often say 'this is your new normal,' and that is exactly what it is. Normal. We have had a great few months. On a whim at the last minute we rented an RV to go to Yellowstone in late August. I have always been against this type of parking...I mean camping, but in an effort to include Julie on our trip, I bit the bullet. It was a lot of fun, and honestly I kind of get why people do it now. When you want to leave, you leave. No packing, just chuck the stuff above the cab and buckle up! Julie was able to walk around and see some of the sites with her boys. We also were able to spend the weekend in Deer Valley with her family over Labor day weekend. Most of that weekend was in the hotel for her, but it was nice to be together. And last weekend despite how she felt, she mustered up the strength to spend the night with us at Park City's Mountainside Marriott. It was a lot of fun for all of us. We are still very hopeful that Julie will conquer yet another challenge. The dark moments described above are inevitable in our search for hope. We choose to recognize them, but not dwell on them. We have had some of the sweetest moments in our marriage and family life these last few months with a certain feeling in our home that we cannot deny. We are so grateful for these feelings and experiences and wouldn't trade them for the world. We have grown closer together as we sacrifice for one another. We have also had some colorful moments of stress...mostly coming from me. Even when she is just focusing on breathing she remains calm. She doesn't let me get away with my complaining for very long, and ultimately if I am upset, it is usually that I am mad at myself for being mad at the girl who can't breathe. Who gets mad at a girl who can't breathe? Well, I do sometimes. She is still my wife, and we have a very normal marriage despite all the noise around us. I do a decent job of destroying all those nice butterfly feelings I just talked about. This experience has no doubt stretched me to carry some unthinkable amounts of stress that I never thought possible. But that is what is incredible; with practice, and introspection (in my case prayer), we can get through anything life throws at us. We can carry crazy amounts of stress and function very highly. My habits around prayer frequency have really only increased a little bit. Where things have changed is my focus when I pray. The focus and deliberate approach to what I do each day is more thought out and planned. I don't have time to do otherwise. Julie on the other hand has told me the frequency of her prayers has increased. She prayed regularly before, but I will often find her on her knees pleading with the Lord for direction. I honestly don't know how we would do this without God and prayer. As dark and as gnarly as this has been, there are moments that we have where we know He is there. I am also empathetic to how this could completely shake someones faith in a higher power. I have felt those feelings of wonder and doubt myself. They are there because we are human. But those feelings of doubt are hopeless, and binding. They do not liberate your spirit the way hope does. My Grandpa Layton reinforced an attitude that felt natural to me as a boy to "Be Positive." Some might think that faith and hope are blind to the facts. I believe they are an embrace of the evidence. Facts are subjective to the understanding of the evidence in front of you. There is so much we don't know about Julie's situation, and several "facts" end up being incorrect because they are mere assumptions presented as facts. We can't live our lives around stats and facts; it can be hopeless. It is limiting, and depressing. Facts are there to inform, not to dictate. Most of the time the toughest decisions require an act of faith. If I had lived around facts and not hope, I wouldn't be married to my bride, I wouldn't have my twins, I wouldn't have Charles, I wouldn't have Julie alive today surviving CF, Diabetes, Transplant, Childbirth post transplant with stage 4 endometriosis, and an aggressive, rare Lymphoma. Life is too short to doubt, especially your own impressions and experiences. Hope on, and believe there is a higher power out there that is greater than man. It's provided me a pretty stellar life despite the circumstances. You bring so much perspective and strength to my life. I adored you as a child, teenager and now have the utmost respect for you as an adult. Thank you for sharing. We will ever pray for you, your family and your sweet wife. Hang in there bro. You're doing a remarkable job! Praying for you guys... You are an amazing example of fierce loyalty and devotion... Love you both!!! I like how honestly you write. The relationship you and Julie had is remarkable. Most couples don't experience a fraction of the stress you guys did and through it all you had each others' backs. You guys are an inspiration.